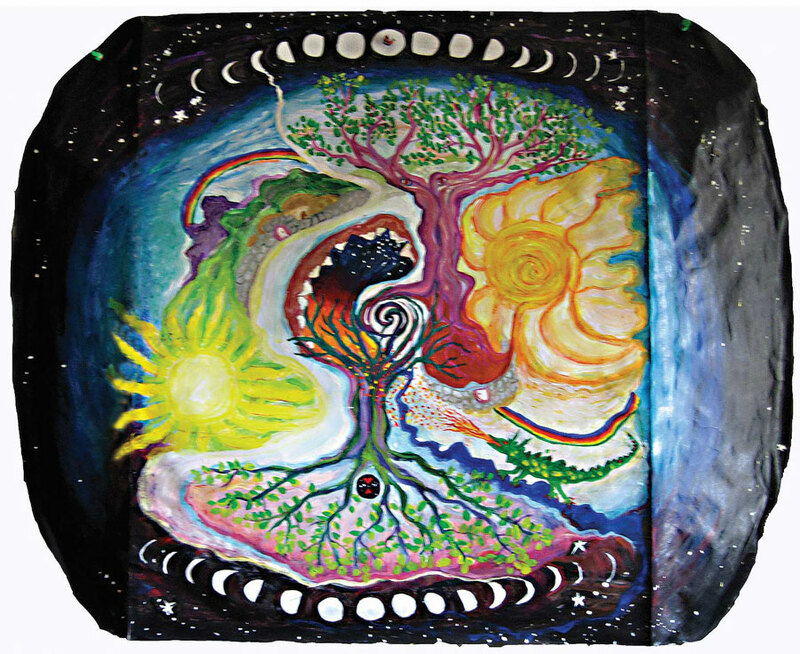 THE MISSION of Creative Passage: Arts to Re-enchant People & Planet, 501 c(3) is to strengthen and heal the sacred web of life by introducing intuitive expressive arts (paint, dance, music, theater, etc) and nature rituals to people, institutions and communities. Our approach includes joining with like-minded groups to build a central viable demonstration community in nature which role- models a blend of ancient and cutting-edge sustainable innovative technologies in the Arts, building, health, food production, finance, peace making and all future life activities. 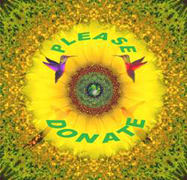 Please see the life affirming and transformational activities your donation will make possible. We know that every part of nature, authentic art and dreams have a soul, an integrity and a voice — a voice that needs to be heard, and when consulted, this voice will tell the truth. The common mystical altruistic root connecting ALL spiritual traditions and teachers are our source of guidance. Arts and dream tending are our spiritual practice. Nature is our spiritual teacher. New discoveries in the sciences are conformation of our heart opening mystical experiences. 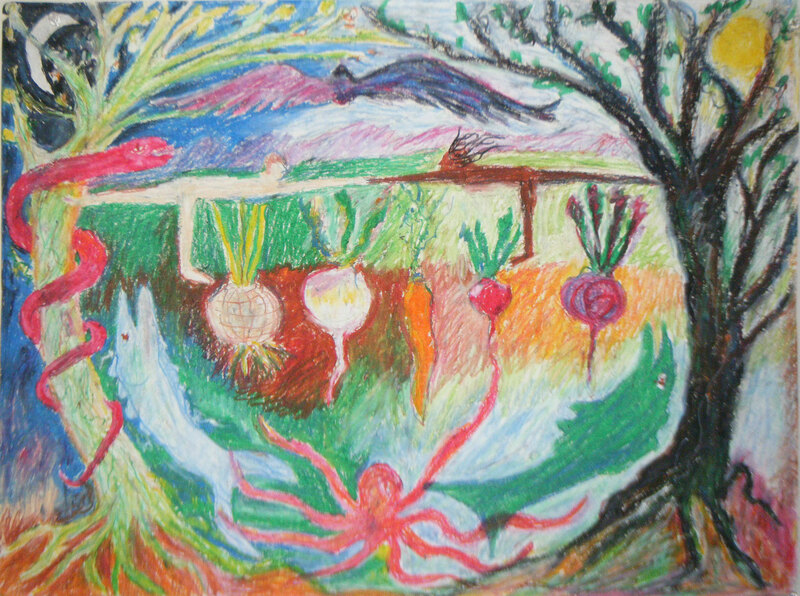 The intuitive process-oriented and spiritual approach of Source Art will remain the foundation of new workshops, programs and decisions – but this original process will of necessity expand, innovate, transform, adapt and be newly applied to the larger Eco/Nature mission of Creative Passage. Our vision of Creative Passage requires a center community in which participants actively cultivate this ability of creative Source Art inquiry, live and make decisions in alignment with received guidance and teach this mindful way of authentic creative life to others. Creative Passage is a place generating creative rites of passage, facilitating creativity as a role model for the world. A place where we live daily with the principles and practice of consulting nature and our creative guides in all we do. The vision of Creative Passage requires the partnership, collaboration and support of many progressive, complimentary and diverse people, foundations and programs. Changes in behavior such as moving from aggressive–wasteful–avaricious consumer , to peaceful- conscious- steward of nature, naturally occur through regular creative expression and witnessing in community environment. Please participate. … donate your skills, ideas, and funds. And don’t hesitate to contact us.